Games.eanswers.com is the PUP that uses misleading techniques to prevent removal. Use Reimage to locate malicious components and get rid of them faster than with uninstall instructions. A full system scan blocks virus reappearance and prevents traffic to malicious domains. Browser hijackers are often used as advertising tools, so you can expect seeing an increased amount of online ads when browsing the web. Sometimes bogus search engines are capable of modifying search results and including third-party links in a results page. However, Games.eanswers.com currently redirects results from Yahoo database. Though, it might be just a temporarily situation. Indeed, this activity looks shady; however, the main problem is related to Games.eanswers.com redirect tendencies. Clicking on pop-ups, ads and other commercial content might end up with ransomware attack, installation of bogus software or revealing of private information to cyber criminals. Therefore, you should avoid clicking them. It might be hard to do that because they are based on aggregated information about your interests. Thus, they might resemble your latest search queries and provide misleading offers. In order to avoid being tricked, you should initiate Games.eanswers.com removal ASAP. As you can see, Games.eanswers.com virus is not dangerous cyber infection. However, it can poses danger indirectly, and you will be the only one who is responsible for that. In the Terms of Service, it is noted that website owners do not review all third-party links or ads. It goes without saying that you should expect that they would take some responsibility if you get infected with malware or suffer from the financial loss. Thus, if authors of search engine do not care with whom they are collaborating or working with, you should not trust their tool as well. Games.eanswers.com hijacks popular web browsers and collects information about users. Games.eanswers.com browser hijacker is advertised in software bundles. Thus, you may find it offered to download when installing freeware or shareware. Of course, you can find this hidden application only if you install a new program under Advanced or Custom settings. These settings allow “unpacking” software bundle and seeing what additional apps are offered to download as well. Unticking the box near the suggested application prevents PUPs from entering the system. However, most of the time Games.eanswers.com hijack occurs when users rely on Standard or Recommended settings. Thus, in order to avoid PUPs, you should never forget that such setups do not openly inform about third-party programs and usually installs them by default. 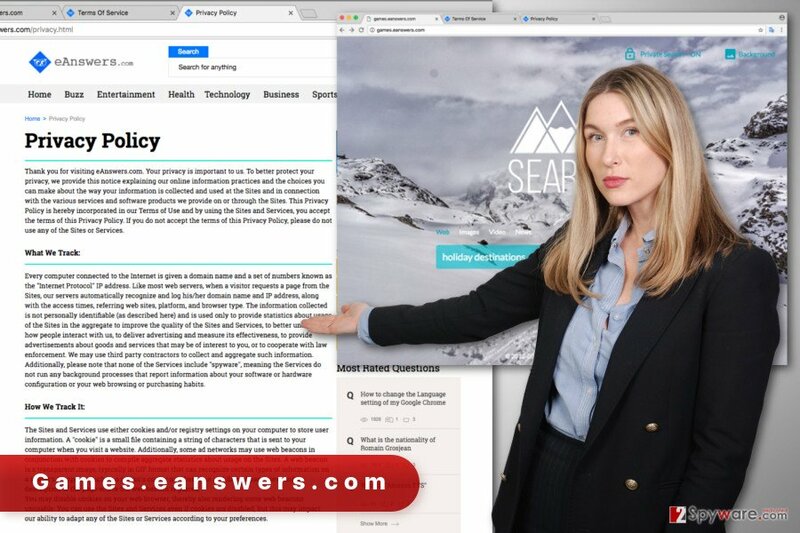 You can choose from two Games.eanswers.com removal options – manual and automatic. The first method requires looking up for hijacker-related components from the computer and web browser. 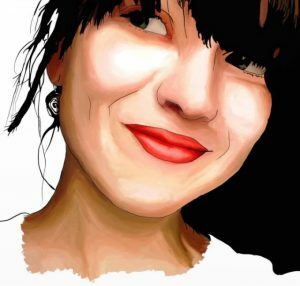 Below you will find illustrated instructions how to perform this task. 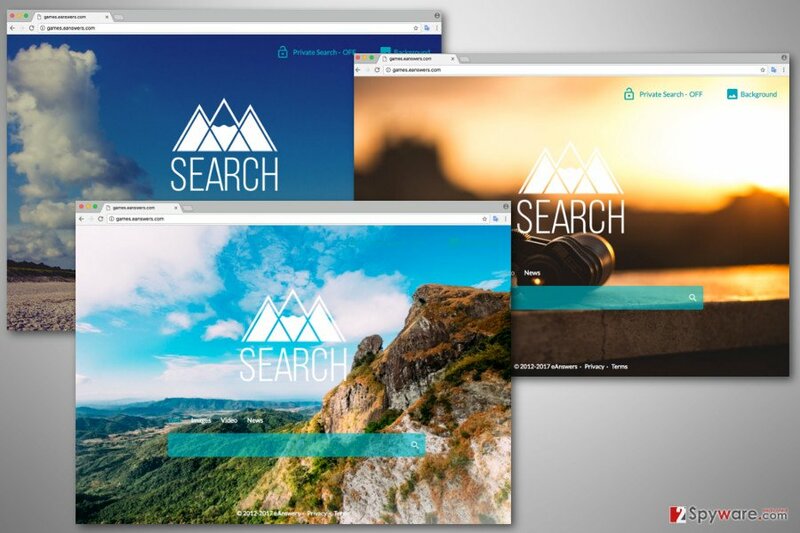 It shouldn’t be hard to get rid of this search engine, but you should be attentive and do not leave any suspicious files, apps or other components. If you want to be 100% sure that virus is deleted from the system entirely, choose to remove Games.eanswers.com automatically. This method allows dedicating this tiresome task for updated security program. 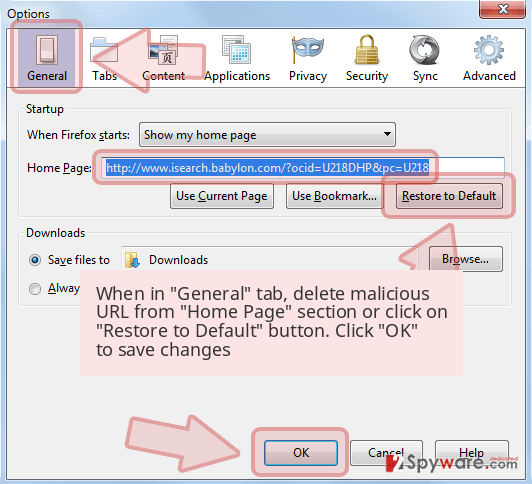 Follow manual Games.eanswers.com removal instructions below and uninstall all programs that might be related to browser hijacker. Here, look for Games.eanswers.com or any other recently installed suspicious programs. 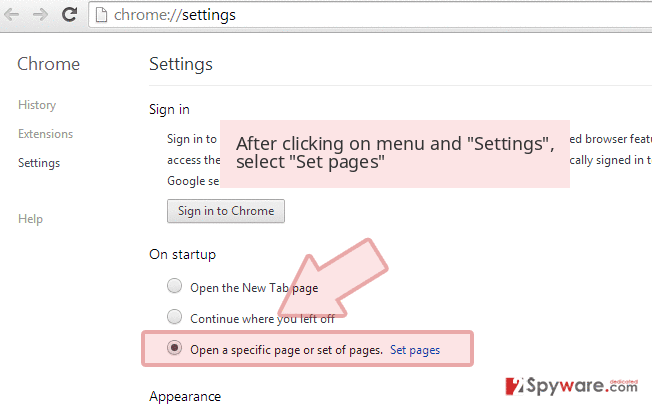 Follow the step below to remove browser hijacker from the system entirely. Wait until you see Applications folder and look for Games.eanswers.com or any other suspicious programs on it. Now right click on every of such entries and select Move to Trash. After the hijack, you need to uninstall unknown add-ons and reset Internet Explorer. When in the new window, check Delete personal settings and select Reset again to complete Games.eanswers.com removal. 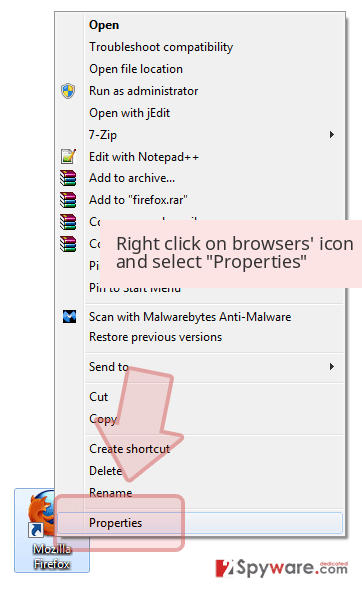 Follow the steps below to fix Microsoft Edge after the hijack. Once these steps are finished, Games.eanswers.com should be removed from your Microsoft Edge browser. Open the list of extensions and look up for entries that might be related to Games.eanswers.com virus. Uninstall such add-ons, plugins or extensions. Then reset Mozilla Firefox. Here, select Games.eanswers.com and other questionable plugins. Click Remove to delete these entries. Now you will see Reset Firefox to its default state message with Reset Firefox button. Click this button for several times and complete Games.eanswers.com removal. Games.eanswers.com removal from the Chrome has two steps. Firstly, you need to uninstall unknown extensions and other entries. Secondly, you have to reset the browser. Here, select Games.eanswers.com and other malicious plugins and select trash icon to delete these entries. Click Reset to confirm this action and complete Games.eanswers.com removal. 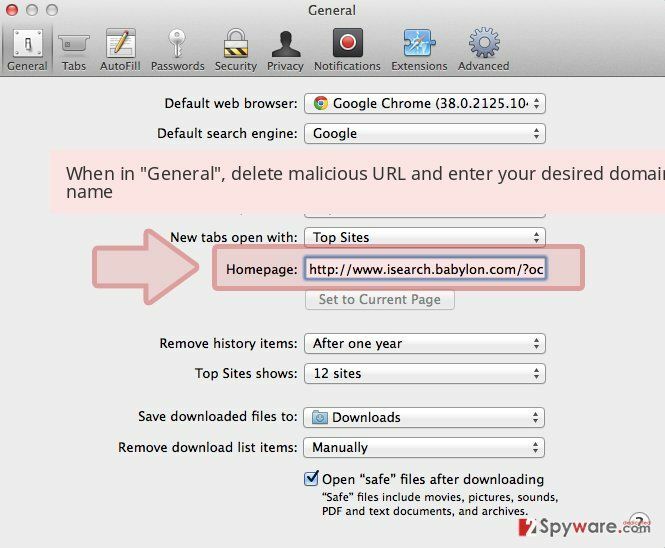 The instructions below will help you to delete hijacker and recover Safari after the hijack. 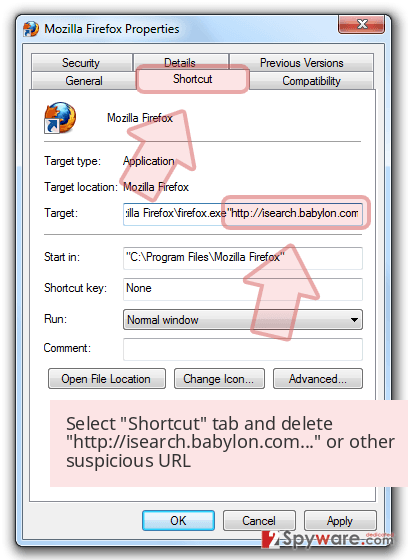 Here, select Extensions and look for Games.eanswers.com or other suspicious entries. Click on the Uninstall button to get rid each of them. Here, look at the Homepage field. If it was altered by Games.eanswers.com, remove unwanted link and enter the one that you want to use for your searches. Remember to include the "http://" before typing in the address of the page. Now you will see a detailed dialog window filled with reset options. All of those options are usually checked, but you can specify which of them you want to reset. Click the Reset button to complete Games.eanswers.com removal process. ^ What is a Software Bundle?. wiseGEEK. Clear answers for common questions. ^ Non-Personally Identifiable Information (Non-PII). IAB Europe. The official website of Interactive Advertising Buerau. ^ Malvertising and ransomware. Malwarebytes. The official website of the cyber security software developers. ^ Mei Pakpahan. How do online ads know what we're looking for?. The Jakarta Post. The official website for the The Jakarta Post newspaper. ^ Vangie Beal. Malware-malicious software. Webopedia. Online Tech Dictionary for IT Professionals. This entry was posted on 2017-05-04 at 06:53 and is filed under Stealing programs, Viruses. You can quickly scan the QR code with your mobile device and have Games.eanswers.com manual removal instructions right in your pocket. How did you remove Games.eanswers.com?